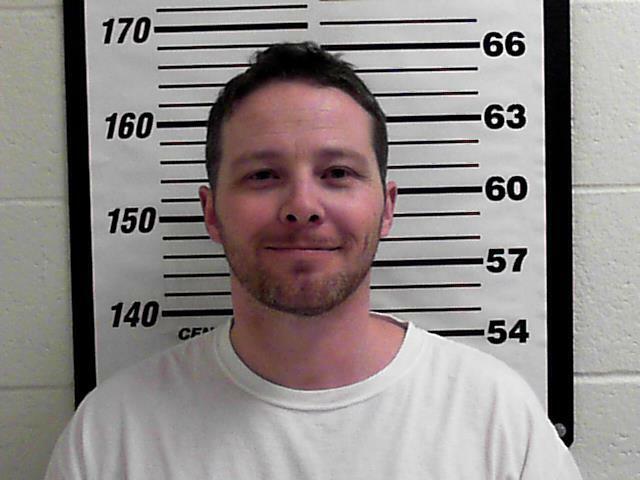 Federal prosecutors filed felony charges today against a Logan man who the FBI said has confessed to mailing ricin-laced letters to President Donald Trump and other high-ranking officials last month. William Clyde Allen III, 39, made his first appearance in U.S. District Court today, but did not enter a plea as he faces five counts of making a threat to use a biological toxin — ricin — as a weapon and mailing threatening letters. If convicted of using ricin as a weapon, he faces up to life in prison and 10 years for each count of sending threatening communications. U.S. Attorney John Huber told reporters outside the federal courthouse in downtown Salt Lake City that the investigation into Allen is ongoing, but there was enough evidence to charge and continue to hold Allen, who was arrested Wednesday. Allen appeared in court wearing a white T-shirt and jogging pants. At one point he turned to wink to his wife and smiled. After explaining procedural details and asking Allen if he had any questions, Allen was quick to respond that he will have a hard time without being able to help his wife put on her shoes, as she in a wheelchair. He also said had been looking forward to conference weekend, referring to the semiannual conference of the Church of Jesus Christ of Latter-day Saints. Allen has a history of making threats toward government officials, according to an FBI agent’s affidavit that was filed in U.S. District Court today along with the criminal complaint. In the past he’s threatened to kill the president, bomb Lackland Air Force Base in Texas and warned the Utah Department of Public Safety of “multiple imminent radiation attacks.” He included his name and phone number in his email to the state agency. In 2015 Allen send an email to the CIA in which he threatened to kill the president if the intelligence agency did not stop infringing on his constitutional rights. The U.S. Secret Service interviewed Allen at his home about the threat. Two years later he emailed a bomb threat to Lackland Air Force Base in San Antonio in which he wrote “I have a bomb to kill your people.” After the email was traced to him Allen was interviewed by federal law enforcement and admitted to sending the threat, according to the court document. Allen, who the Military Times reports is a U.S. Navy veteran, was taken into custody after the FBI executed a search warrant at his home in Logan. Allen later confessed to FBI agents of having mailed four letters on Sept. 24 that contained ground and broken castor beans, which the deadly toxin ricin is derived from, and a note with a message that read “Jack and the Missile Bean Stock Powder,” according to an FBI agent’s affidavit. The letters were addressed to the president at the White House, Defense Secretary James Mattis, FBI Director Christopher Wray and Admiral John Richardson, chief of Naval Operations, FBI Special Agent Matthew B. Foulger said in the affidavit. Ricin is lethal in small doses if ingested or inhaled. Symptoms may include difficulty breathing, nausea and vomiting. Death can result within three days. There are no known antidotes, according to the Centers for Disease Control and Prevention. Allen told FBI agents that he sent the letters from post office near his house along with other letters to Attorney General Jeff Sessions, the queen of England, Russian President Vladimir Putin and the Secretary of the U.S. Air Force. He also explained that he had researched ricin on the Internet and purchased castor beans off eBay with the intent of extracting ricin. He also said he’d purchased the beans in case World War III broke out and he needed to defend the nation. The FBI began to investigate on Oct. 1 after receiving information that a letter, with Allen’s return address in Logan, had been sent to President Trump. A field test later confirmed by a lab test showed that ricin was present, according to the complaint. A fourth letter arrived on Oct. 3 to the FBI’s mail center that was addressed to Wray, the FBI Director. It also contained the same message and castor beans. Allen’s arraignment is scheduled for Oct. 12. He’s expected to enter a plea at that time.